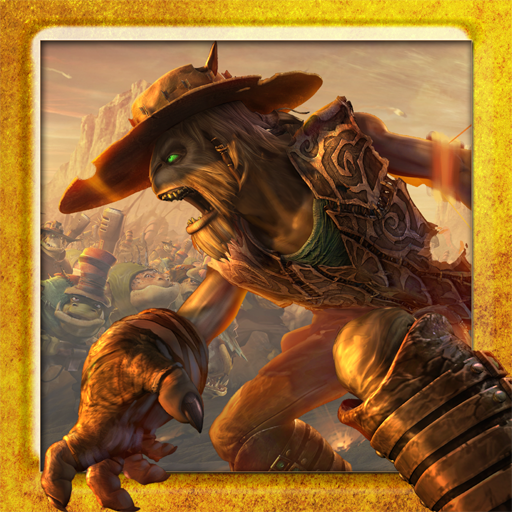 Update: Oddworld: Stranger's Wrath has been released on the Play Store, and glory be, it looks like it's not exclusive to anything. You can download it now on any Android 4.0 or higher device, and the Play Store version has the same external controller support and $5.99 price tag. Thanks to commenters step_jac and Amarus Kh for letting us know. Update again: It looks like Stranger's Wrath is compatible with Android TV as well. Nice. 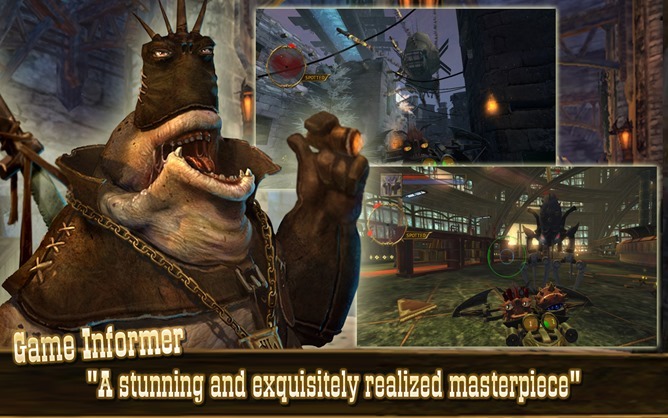 The Oddworld series is one of the hidden gems of gaming: it's never been a blockbuster in terms of sales, but each game is utterly unique and brings innovative elements across setting, story, aesthetics, and gameplay. 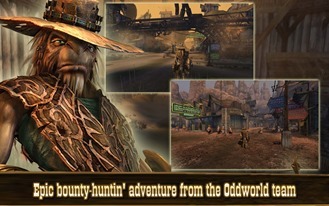 Stranger's Wrath was first released as an Xbox game (that's the original Xbox, kids!) back in 2005. 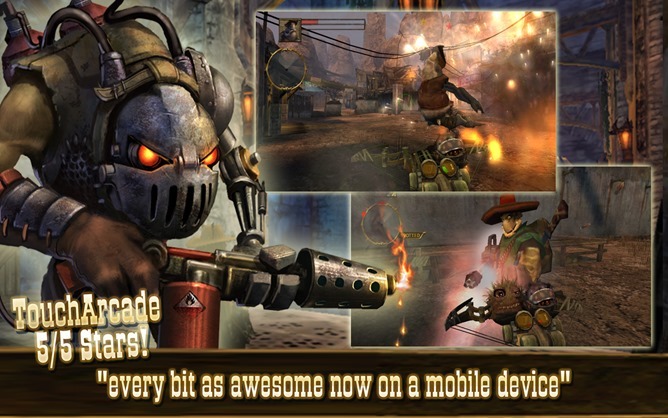 It's since been re-released on a few platforms including the PC and iOS, and now it's come to Android. Trailer is from the iOS version of the game. Well, sort of. 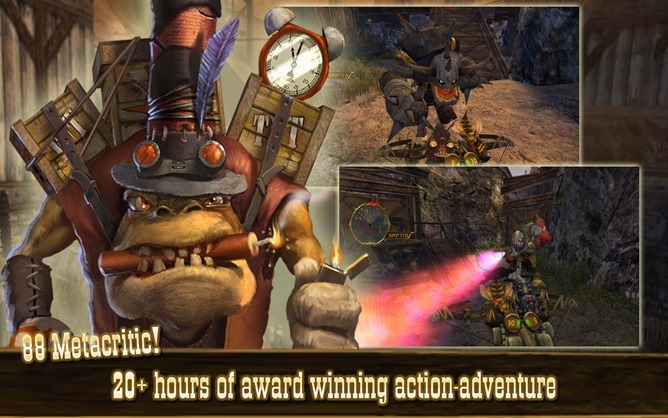 You can only buy Oddworld: Stranger's Wrath on the Amazon Appstore, and based on the device compatibility and the initial reviews, you'll need a Kindle Fire HD or later Amazon device to actually play the game. 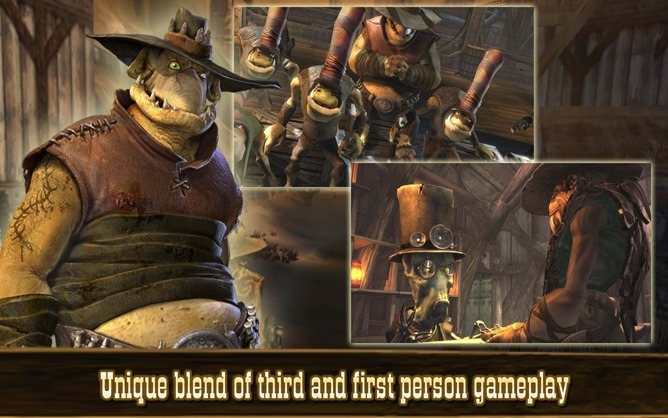 This is, if you'll pardon the pun, odd: the last we heard of the mobile version of Stranger's Wrath, it was set to be an exclusive for NVIDIA's SHIELD Tablet, along with Strike Suit Zero and Pure Pool. Why publisher Oddworld Inhabitants decided to switch to Amazon, and apparently sometime in the last month or so, we couldn't say. 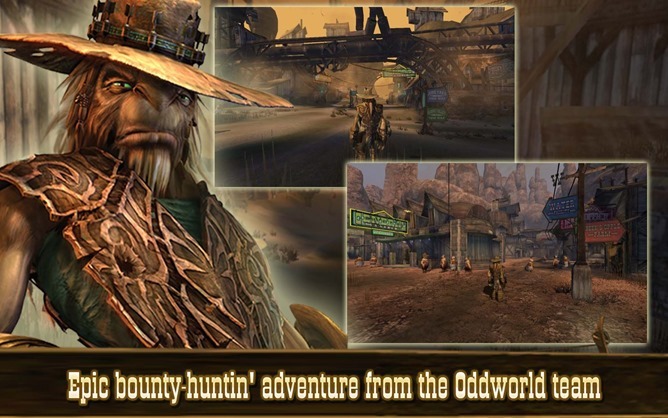 In any case, Stranger's Wrath is a 3D action-adventure title in which you play the titular Stranger, a bounty hunter who looks like a cross between Chewbacca and Clint Eastwood. The perspective shifts from third-person for travel and platforming sections as you track down bounties, into first-person for shooting the game's unconventional weapons (including a crossbow that fires slugs, bees, and exploding bats). The Android version relies primarily on on-screen controls, but support for standard external controllers is included. The Oddworld universe is one of the most unique in gaming; I imagine it as what you'd get if they let Guillermo del Toro direct a Pixar movie. Just checking out the various sights would be enough for me to shell out the $6 asking price, but I don't have anything that's compatible with it. We can but hope for a wider Play Store release soon.